As you’d be hard pressed to have missed (since I won’t shut up about it), earlier this week I met Emeril with some blogger friends. We taped an episode of a new show he’ll be airing in the fall. I’m sure the show will be all cute, quick and look put together but what you don’t see with a tv show is all that goes on behind the scenes. I had to arrive at the studio almost two hours before the show started taping, for briefing and for hair and make-up. The make-up aspect of it especially was amazing to me. The make-up artist spent about 20 minutes applying my make-up and was then constantly reapplying to my face in between takes. But Colleen and then several friends I saw later in the day kept remarking at how amazing my make-up looked. They even went so far to say it was truly amazing how much it changed me. I had to laugh but it really is true – a little make-up really goes a long way on your face, especially when you’re 36 and “natural” isn’t so cute and young-looking on my face anymore! My eyes especially were what really changed. One of the things I think really made the difference were fake eyelashes. The make-up artist applied fake lashes (one at a time) with adhesive and a pair of tweezers. They came off very easily last night so I’m definitely sold on trying these again on my own when I have an event. 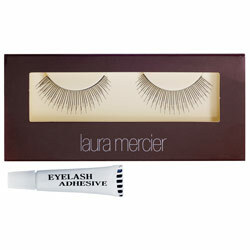 Laura Mercier has a set of lashes for $18 at Sephora.com. You can also buy them individually, which is how mine were applied. These Make Up For Ever ones are $15 at Sephora.com. Staying on the eyes, let’s talk mascara. Over Easter break, I was in Ohio visiting my sister. 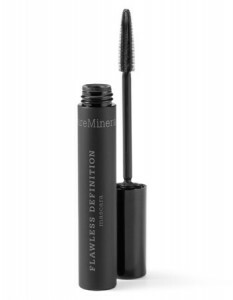 She proclaimed that my mascara “sucked” and was “clumpy” and went out and bought me this bareMinerals Flawless Definition Mascara. Now that I am using it, I know what she was saying. There is no clumping at all with this mascara and it’s incredibly smooth going on. You can get it for $18 at Ulta.com. For my eyeshadow, she toned it down and gave me some fall colors as the show is airing in the fall and I was wearing a plum shirt. But what’s really hot right now are bright eye shadows. 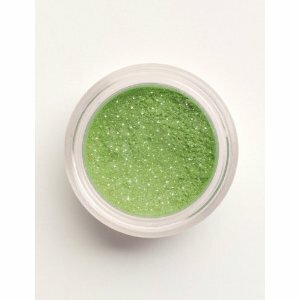 I recently saw this Lime Green BareMinerals Eyeshadow and loved it. You can get it for $5.99 at Amazon.com. Lastly, for under the eyes, it’s always good to have a nice eye concealer to hide the lack of sleep you got the night before! She used MAC Pro Longwear Concealer NW20 on me. (Obviously you pick based on your skin tone) It definitely covered up all the ugly purple under my eyes and was really faint and natural. It wasn’t caky and I couldn’t feel it at all. 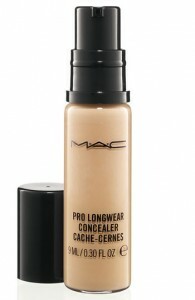 You can get this concealer at Nordstrom.com for $16.50. But truly, my eyes just popped on Tuesday. And while I always carry around lipstick and have always had the attitude that if I forget all my makeup, that it’s okay to just have lipstick on… I’m now turning to also doing my eyes as I think it makes a huge difference. Alissa, I was the same way – always going for my lips first but I’m definitely trying to focus on my eyes more now. Not sure I could pull off that green shadow but I love MAC cosmetics. Their products are terrific. This is such a good post. I never really used to wear that much makeup but one of my house mates was a makeup artists in one of those fashion jobs and she showed me the ropes. I always thought makeup was quite a big effort but she gave me a few tips on how to make small and effective changes. I also wear false lashes on nights out now and once you’ve got a bit of practice they’re really not that hard to apply. The best way I found was to just practice different looks on yourself and other people to get used to using and blending different types of makeup from coverage to eye shadow. I agree with Sharon, this is my first visit to your site and its great! This in particular is a very inspiring post. As a recent university graduate I can not afford decent make up as I have still not secured a graduate job. My friend is a make up artist and has shown me some tricks of the trade so to speak.